Writers often wander down some winding roads; many call it “the research rabbit hole.” This past week I got lost in one when I began by asking about public gardens that may have existed in Edinburgh in 1840 and ended up learning about the Sheraton Kaiulani Hotel on Waikiki. Along the way I found a park for my novella and collected some interesting characters who may—or may not—find their way into the middle book of the series I’m planning. Let me explain. To begin with, the hero of my short story in progress planned to walk out with the heroine. My question had to do with deciding which actual garden I might use, a simple enough question. 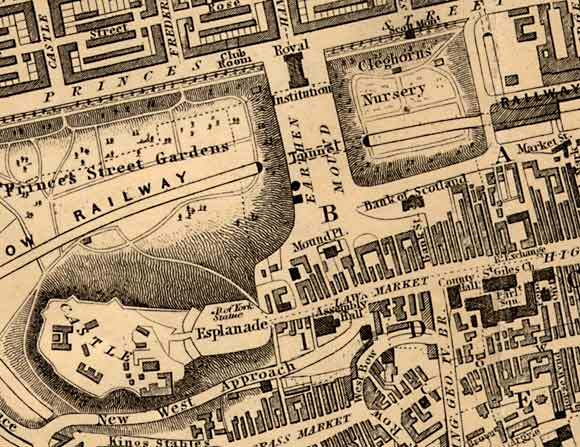 On an 1840 map of central Edinburgh I came upon “Cleghorn’s Nursery and Flower Garden.” A flower garden sounded lovely, but who, I wondered, was Cleghorn? It interested me because one of the secondary characters in that story is a botanist, and I have him in mind as the hero of a novel in my next series. I was off down the rabbit hole at that point. Neither the name of the garden nor any combination of search terms yielded information about the garden or the Cleghorn that owned it. I began to get botany hits, however. The Royal Botanical Garden Edinburgh has a collection of specimens related to India that all led to the work of a Hugh Francis Cleghorn. India? Hugh Francis Cleghorn was born in Madras—but mostly raised in Scotland. He received his MD at the University of Edinburgh in 1841. He would have been 21 in 1840. It didn’t seem likely to me that young medical student would own a nursery. 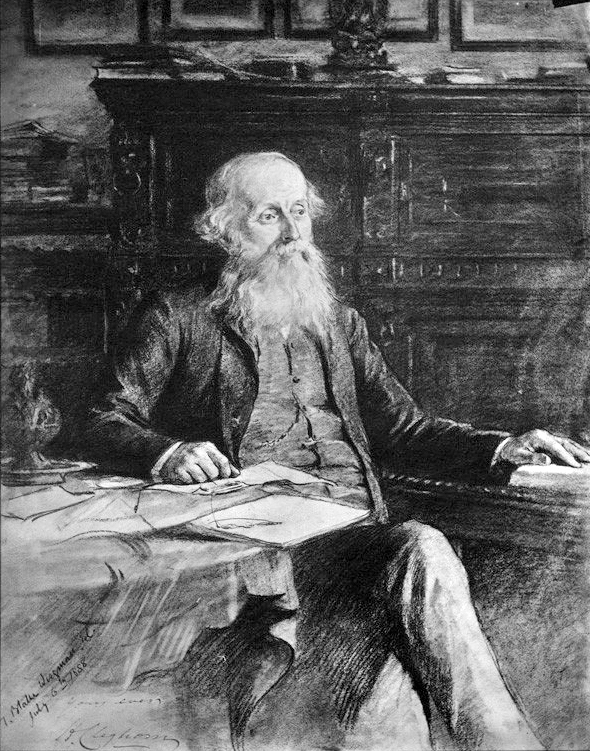 However, Hugh went on to establish the Madras Forestry Department and become an expert on forestry and agriculture in India. Was gardening a family business? I broadened my Cleghorn search. Robert Cleghorn also trained as a physician at Edinburgh. He migrated to Canada and is an early nurseryman, dealing in plants, and cataloging Canadian fauna—even contributing to scholarly work back in Scotland. One remembers that at this time the study of botany was done in medical schools. He left Edinburgh long before 1840, so he isn’t the garden owner. I wandered farther. One other name came up consistently. Archibald Scott Cleghorn. His name, however, linked to Hawaii where he was among other things the O’ahu Parks Commissioner and the landscape of the Iolani Palace. How likely was that? Digging deeper into the rabbit warren, I found he was born in Edinburgh in 1835, and so would have been too young to own the nursery. He was said to have come to Hawaii in 1851 with his father, also referred to as a gardener. Aha! But who was his father? I wandered back to the maps. In 1850, the name Cleghorn still appears on the same patch of land but it says “Nursery.” Gone is the flower garden. The Glascow Railroad cuts the property in half. 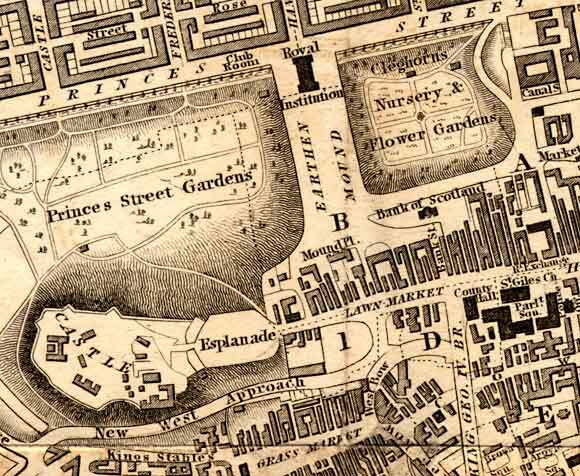 By the 1860 map the Cleghorn name is gone and the remnant is called, the East Princes Street Gardens. Did they leave after 1850? 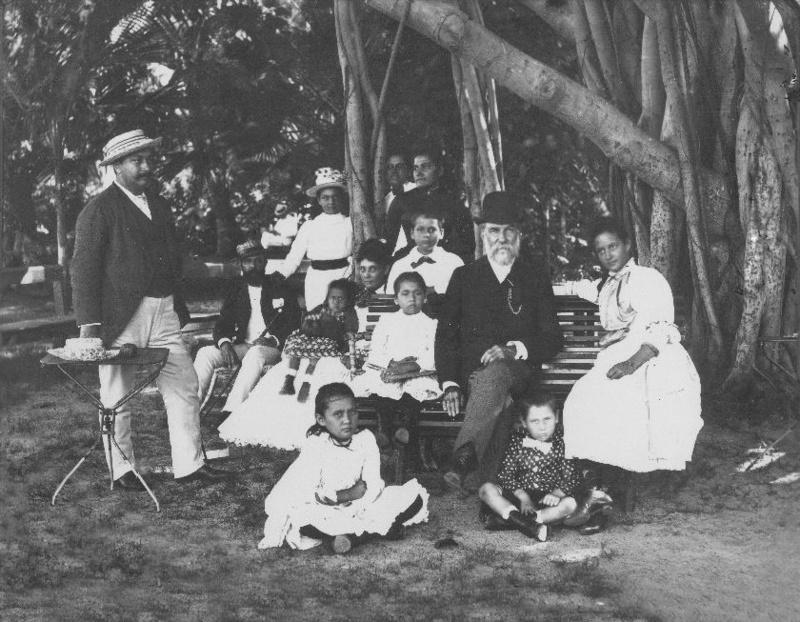 Archibald Scott Cleghorn’s biography indicates he came to Hawaii from New Zealand with his father Thomas, leaving behind an older brother in Auckland. In the end I could not connect these Cleghorns with that spot on a map, but the timing is suspicious. 1840 was a vital year in New Zealand history. The Treaty of Waitangi formally established a British colony. It guaranteed the Maori ownership of their lands and rights as British citizens. How well that worked is a topic for another day, but I had to wonder how it impacted the Cleghorns. Organized European settlement took off and the cities of Wellington and Auckland were founded in 1840, my target year. The Cleghorns must have been part of that migration. Did the railroad buy their land or simply take it? I don’t yet know. Perhaps the rabbits have some deeper holes. The other suspicious fact connecting the Archibald’s family to the Cleghorn Nursery and Gardens is the persistent connection of the family with gardening. Thomas is described in records as a “seedman.” Alexander was a distinguished horticulturalist. Thomas actually owned a dry goods store in Honolulu, but he died within a year of opening it, leaving it to Archibald. How Archibald got from a very successful dry goods business to horticulture is unclear, but my research took a sharp turn. Somewhere along the line he made friends with King David Kalakaua. How could I not pursue that? At this point my winding road wrapped me up in Archibald’s family. 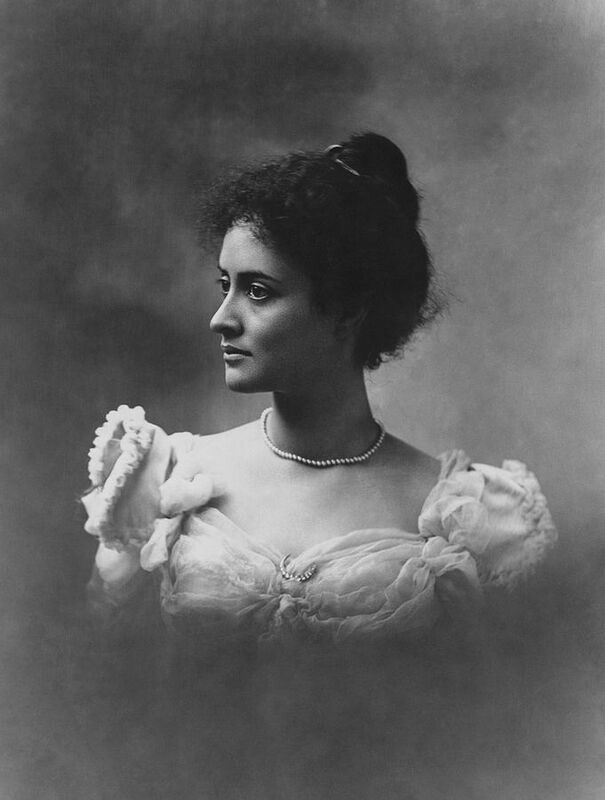 Though Archibald Cleghorn had liaisons with at least two Hawaiian women earlier, he married Kalakaua’s sister, Princess Likelike. At the birth of their daughter Princes Victoria Kaiulani they were given an estate on Waikiki called Âinahau. In addition to building a house with stables for horses and Kaiulani’s pony, Cleghorn collected flowers, trees, and other plants from around the world, turning it into a garden show place. The princess had an idyllic childhood before being sent off to England to be educated. 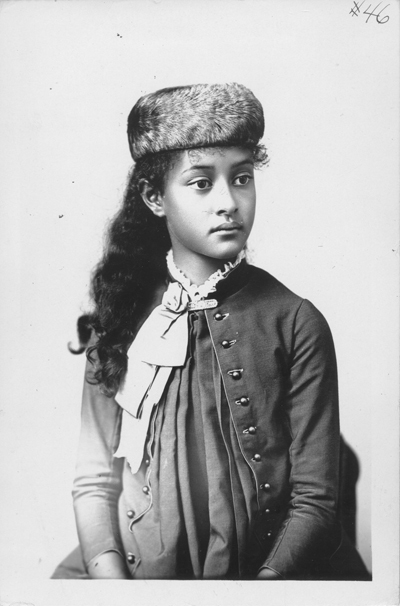 Princess Kaiulani Cleghorn grew up expecting to be Queen, but the monarchy was dissolved and the island annexed by the United States while she was a young woman. She died not many years later. After Alexander Cleghorn’s death, Âinahau became the first site of The Pacific Club. The Moana Hotel, built just before Kaiulani’s death, later acquired the site and build bungalows there, which were demolished in the 1950s, and the Sheraton Princess Kaiulani was built. If you’ve been to Honolulu, you know that Archibald Cleghorn’s gardens are long gone. His Kapiolani Park (developed when he was park commissioner) is the last legacy of the gardening Cleghorns. Having wandered in a circle, I still wonder about that little park in Edinburgh and the generations between it and Kapiolani. I may need another dive into that rabbit hole. Where there is no documented fact, I’m left creating fiction. History Imagined, after all, lies where history leaves of and fiction begins. Caroline Warfield lists faith, family, history, and travel as her great passions and all four drive her storytelling. Her most recent series, Children of Empire, tells the stories of three cousins who find their fortunes, romance, and the way home from the far reaches of Empire in the late Georgian/ early Victorian period. 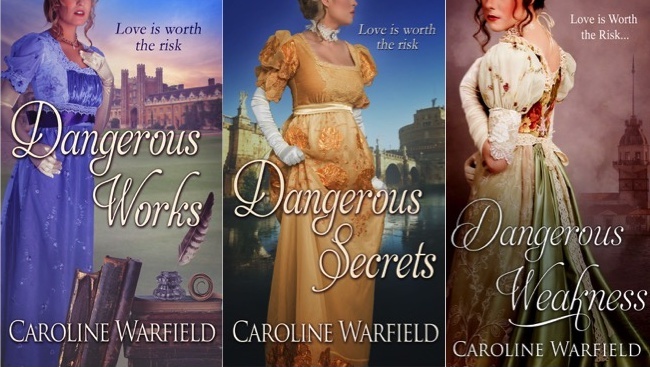 She is currently working on series set in the 1840s and based on the children of the heroes and heroines of her Dangerous Series. You’ve just invited me into the rabbit hole. I write books set in Dundee which is north of Edinburgh and there is a Cleghorn Street in Dundee. I wonder if there is any connection. I must pop down that rabbit hole! How fascinating! I love that you dug in so much details! I wonder if anyone would be looking into our lives as we look into those in the past! That is just fascinating! It’s so easy to get lost down the rabbit hole, and so much fun too. It’s impossible to view it as time wasted, even if you don’t emerge for hours…! Don’t you love it when history spins a better tale than you could have ever imagined? This period of Hawaiian history fascinates me. I’ve read the autobiography of Queen Liliuokalani and another HF story about Kamehameha. Found the 2010 movie about Princess Kaiulani and plan to watch despite not so good reviews. I hope you do find ways to weave a story around the Cleghorns, gardens, and the Hawaii connections. Serendipity may prevail! Fascinating, Caroline! We just drove in today from another city with famous gardens, Charleston, SC. Rabbit holes, I find, are the bread and butter for writers of historical fiction!